Amazon revealed today (Jan. 8) that Lorena, a four-part Prime Original docuseries executive produced by Jordan Peele (Get Out), will premiere on Friday, Feb. 15, following its world premiere at the Sundance Film Festival on Tuesday, Jan. 29. Directed by acclaimed documentary filmmaker Joshua Rofé, Lorena provides viewers with an intensely truthful look at the infamous real-life case of John Wayne and Lorena Bobbitt. The telling of Lorena is not only a refreshing look into how these events gave way to the formation of the modern 24-hour news cycle and sensationalist media coverage, but also a critical examination of domestic and sexual violence in America. 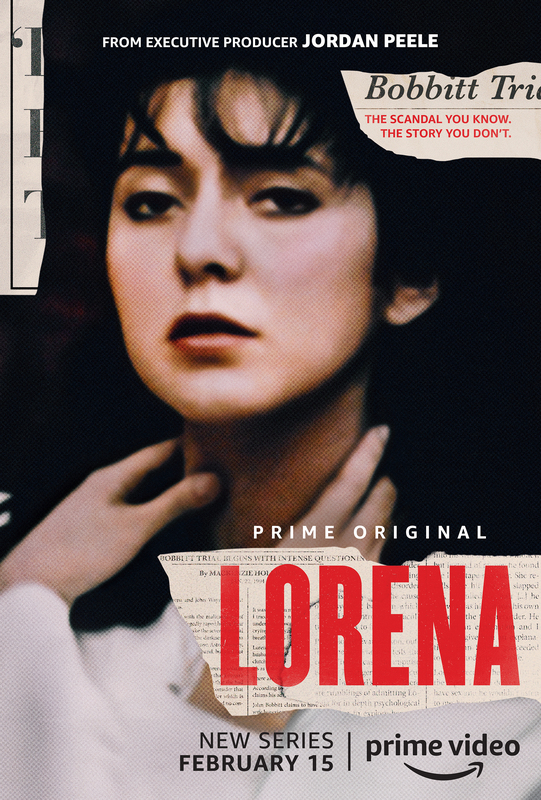 Lorena will be exclusively available on Amazon Prime Video. See the docuseries’ teaser and key art below.